Eight hundred years ago, in a hardscrabble farming community on the outskirts of what was once one of the fabled cities of the ancient world, Troy, a 30-year-old woman was laid to rest in a stone-lined grave. Like others in the Byzantine era graveyard, the woman's bones bore the unmistakable signs of a hard agrarian existence. But something else caught the attention of Henrike Kiesewetter, an archaeologist affiliated with Project Troia at Tüebingen University, as she curated the skeleton: two calcified nodules, each the size of a strawberry, nestled at the base of the chest, just below the ribs. "The preliminary thought was that these were tubercles arising from tuberculosis," says Caitlin Pepperell, a University of Wisconsin-Madison expert on the evolution of pathogens and a professor of medicine and medical microbiology. A bacterial infection, tuberculosis is characterized, often, by the growth of calcified nodules in the lungs or other tissues. DNA, elemental and microscopic analysis of the round white stones, however, ruled out tuberculosis as well as urinary or kidney stones as possibilities. Cracking open the nodules, researchers discovered extraordinarily well preserved microfossils, mineralized 'ghost cells,' that closely resembled bacteria from the genus Staphylococcus, a family that includes the highly pathogenic species S. aureus. The nodules and the DNA locked inside their concentric layers of calcium were sent to McMaster University's Hendrik Poinar, an expert in ancient DNA whose lab is known for its prowess in extracting and reconstructing genetic material from ancient archaeological and paleontological remains. "Amazingly, these samples yielded enough DNA to fully reconstruct the genomes of two species of bacteria, Staphylococcus saprophyticus and Gardnerella vaginalis, which infected the woman and likely led to her death," says Poinar. 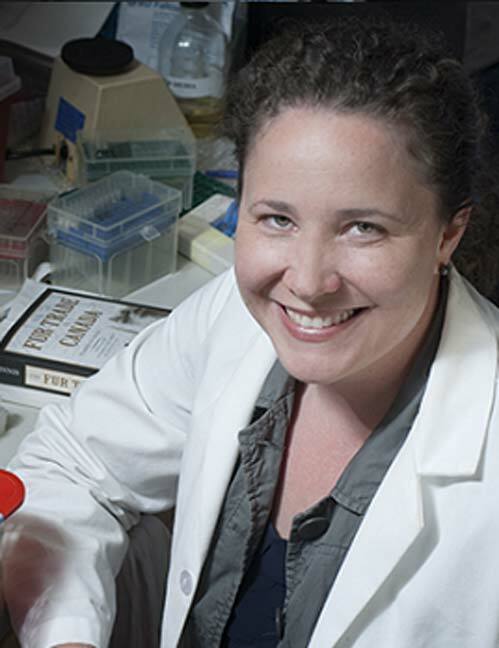 Writing in the journal eLife, a team led by Pepperell and Poinar provides a molecular portrait of the fatal infection. The work lends insight into the everyday hazards of life in the late Byzantine Empire, sometime around the early 13th century, as well as the evolution of Staphylococcus saprophyticus, a common bacterial pathogen. 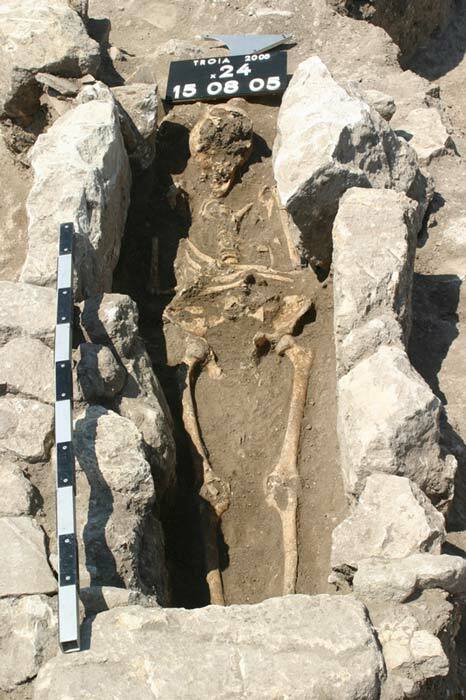 "Calcification made little tiny suitcases of DNA and transported it across an 800-year timespan," says Pepperell of the nodules that formed while the woman was still alive, encasing the bacterial pathogens in calcium and preserving their genetic material. "In this case, the amount and integrity of the ancient DNA was extraordinary. One typically gets less than 1 percent of the target organism." The nodules, says Pepperell, also contained human DNA of the woman and what looks to be her male fetus, but between 31 and 58 percent of the preserved DNA came from the bacteria responsible for the woman's infection. "There was something really interesting about the way this material was preserved," says Pepperell. "The quality of the (genetic) data is unparalleled." The physical evidence, she says, suggests the cause of the woman's death, which occurred in the waning decades of the Byzantine Empire, was chorioamnionitis, a bacterial infection of the placenta, amniotic fluid and membranes surrounding the fetus. In addition to the woman's DNA, and that of the bacteria causing her infection, researchers identified ancient Y chromosome DNA, likely that of a male fetus. "Quite a few women died from complications during pregnancy and childbirth," notes Kiesewetter, a co-author of the eLife report. Finding a case of maternal sepsis in the fossil record, notes Poinar, is unique: "There are no records for this anywhere," he says. "We have almost no evidence from the archeological record of what maternal health and death was like until now." The ability to extract DNA from ancient materials and, in this case, reconstruct the genomes of microorganisms responsible for a fatal infection, help fill in the picture of rural daily life eight centuries ago. The strain of Staphylococcus saprophyticus, explains Pepperell, is different than the kind that typically infects humans today, and is more closely aligned with strains found in livestock. "The Troy isolate is in this really interesting position between the cow and human-associated staph. It looks like the bug that caused her disease was in a different niche than what we see associated with human infections today." The genetic blueprint for the Staphylococcus saprophyticus bacterium, she notes, adds to "a pretty short list of ancient bacteria -- cholera, tuberculosis, leprosy, plague -- for which we have DNA." Some strains of Staphylococcus bacteria, such as Staphylococcus aureus, are commonly found on human skin where they typically pose no health risk. But the bacterium can cause serious and even fatal infection if it penetrates deeper into the body. Staphylococcus saprophyticus, on the other hand, can be acquired from the environment. "The strain from Troy belongs to a lineage that is not commonly associated with human disease in the modern world," Pepperell explains, noting that the historical record indicates Byzantine peasants typically lived with their livestock. "We speculate that human infections in the ancient world were acquired from a pool of bacteria that moved readily between humans, livestock and the environment." 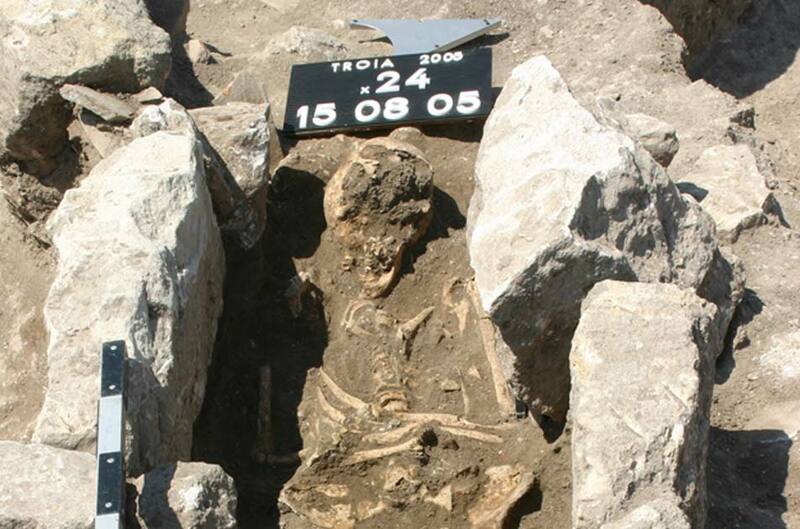 "Results from the osteological analyses of the Late Byzantine burials from Troy fit well to a picture of a rural population," says Kiesewetter of the burials amid the ruins of the city best known as the setting of the Trojan War as told in Homer's epic poem the Iliad. Degeneration of the spine and joints, found in more than half of the skeletons from the time, are believed to portray a life of hard labor in the fields. "People were struggling with physical strains and infectious diseases and only a few lived beyond the age of 50," explains Kiesewetter. "Many newborns did not survive infancy and almost all skeletons of children show signs of malnutrition and infection." Rampant tooth decay in the population, she adds, may have been the result of a rural diet rich in fruit such as figs and dates. The preservation of the bacterial DNA, like the infection itself, was likely an artifact of the woman's pregnancy, Pepperell notes. "The placenta is very prone to calcification as there is a lot of movement of calcium to the fetus. The biomineralization process can occur very quickly."